Written by radiology registrars who have recently passed the newly formatted FRCR Part 1 Anatomy Exam, this study guide includes detailed coverage of all the anatomy topics on the exam. 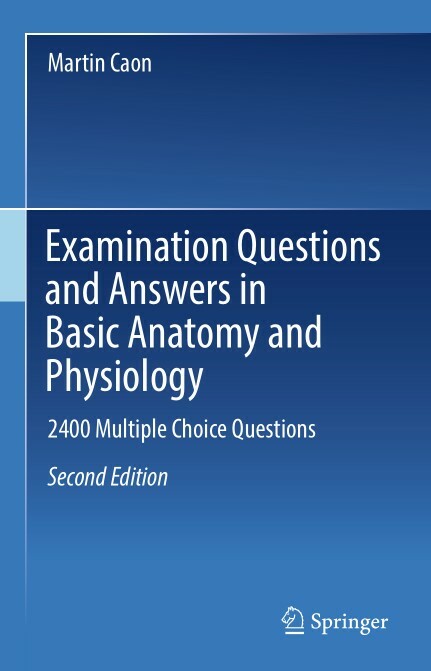 The images and accompanying questions and answers are specifically tailored to the new exam format and cover the following areas: Neuroradiology and Head and Neck Radiology; Chest and Cardiovascular Radiology; Gastrointestinal, Gynecological, and Urological Anatomy; and Musculoskeletal Anatomy. Passing the FRCR Part 1: Cracking Anatomy enables candidates to enter the exam room for the image viewing session confident in their knowledge and fully prepared to pass the exam. 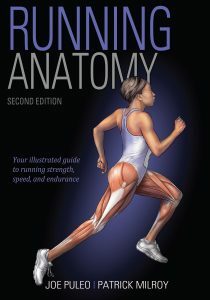 See how to improve your running strength, speed, and endurance with Running Anatomy, Second Edition. This new edition of the best-selling running guide delivers more exercises, more insight, and more illustrations to show you how to increase your muscle strength, optimize the efficiency of your running motion, and minimize your risk of injury. Running Anatomy features 48 of the most effective strength exercises for runners, each with clear step-by-step descriptions and full-color anatomical illustrations highlighting the muscles in action. Each illustration helps you better understand how muscles, ligaments, and tendons all work together as your body moves. Feel prepared for any challenge that comes your way. You’ll find variations to train for every condition and competition—for various terrains, speeds, elevations, and distances, from sprint to marathon. You’ll also learn how new gear and technology-enhanced equipment can maximize your training and performance. Whether you’re a fitness runner looking to conquer hills with more speed and strength or a competitive runner looking for that extra edge in performance and a finishing kick, Running Anatomy will ensure that you’re ready to achieve your personal best. A surgeon unknowingly damages the intestines of a nurse expecting only an overnight stay after surgery, beginning a chain of more tragic and preventable errors. The consequences result in the nurse spending several weeks on an ICU ventilator in a drug-induced coma, having four additional surgeries, and requiring a pump to drain the raging infection from her open abdomen. As she awakens and tries to come to terms with what happened to her, she realizes the hospital and doctors will never tell her the whole truth; she has to find out what went wrong on her own. In order to heal, she determines to write and share her story so others may learn how infections, adverse events, and medical errors occur frequently in hospitals, sometimes resulting in death. 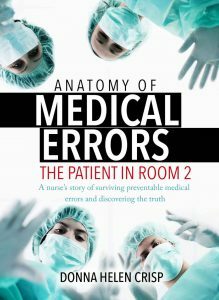 More than a narrative, Anatomy of Medical Errors: The Patient in Room 2 shines light on the dysfunction that underpins many hospital organizations, especially teaching hospitals, including silencing of the patient, provider arrogance, flawed coordination of care, poor communication, and lack of ownership for outcomes. Forever changed by the experience, author Donna Helen Crisp uses her struggles to teach nurses, doctors, and other healthcare professionals how to prevent or avoid potentially dangerous situations, recognize warning signs, and work collaboratively to provide transparent patient care. This book provides an ethical and critical thought process framework for care providers and others through a compelling story about hospital culture. Readers who want to understand how delivery of care works in fast-paced and complex healthcare environments will come away engaged and informed. Donna Helen Crisp, JD, MSN, RN, PMHCNS-BC, became a nurse in 1992 after working in social work, law, and music. After earning her BSN and MSN degrees, she became a mental health Clinical Nurse Specialist in adult psychiatry. She has worked with clients of all ages in various hospitals, long-term care facilities, clinics, homes, and private practice. Whether in the role of staff nurse, supervisor, administrator, consultant, or teacher, her nursing practice of care focuses on the person s suffering. After teaching in the community college system for five years, Donna Helen became an assistant professor at the UNC Chapel Hill School of Nursing, where she taught for six years in the undergraduate and graduate programs. Her nursing research has focused on chronic illness, suffering, quality of life, advance directives, ethical decision-making, and forgiveness. She has taught on these topics at numerous conferences. Her abiding passion continues to focus on the recognition and amelioration of suffering, wherever it exists. She currently lives in Asheville, North Carolina, where she works as a nurse and writes about nursing. 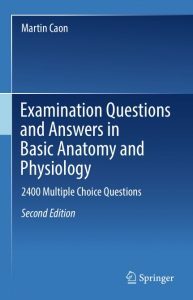 This second edition provides 2400 multiple choice questions on human anatomy and physiology, and some physical science, separated into 40 categories. The answer to each question is accompanied by an explanation. Each category has an introduction to set the scene for the questions to come. However, not all possible information is provided within these Introductions, so an Anatomy and Physiology textbook is an indispensable aid to understanding the answers. The questions have been used in end-of-semester examinations for undergraduate anatomy and physiology courses and as such reflect the focus of these particular courses and are pitched at this level to challenge students that are beginning their training in anatomy and physiology. The question and answer combinations are intended for use by teachers, to select questions for their next examinations, and by students, when studying for an upcoming test. Students enrolled in the courses for which these questions were written include nursing, midwifery, paramedic, physiotherapy, occupational therapy, nutrition and dietetics, health sciences, exercise science, and students taking an anatomy and physiology course as an elective. 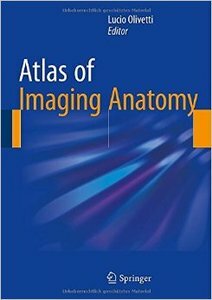 This book is designed to meet the needs of radiologists and radiographers by clearly depicting the anatomy that is generally visible on imaging studies. It presents the normal appearances on the most frequently used imaging techniques, including conventional radiology, ultrasound, computed tomography, and magnetic resonance imaging. Similarly, all relevant body regions are covered: brain, spine, head and neck, chest, mediastinum and heart, abdomen, gastrointestinal tract, liver, biliary tract, pancreas, urinary tract, and musculoskeletal system. The text accompanying the images describes the normal anatomy in a straightforward way and provides the medical information required in order to understand why we see what we see on diagnostic images. Helpful correlative anatomic illustrations in color have been created by a team of medical illustrators to further facilitate understanding. Inderbir Singh’s Textbook of Anatomy is the latest edition of this comprehensive, illustrated, three volume guide to human anatomy. This edition includes fully revised and updated content, with current clinical advances. 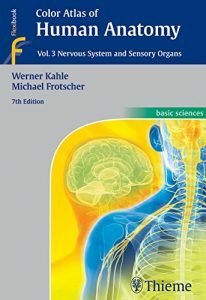 – The third volume covers the head and neck, central nervous system, and anatomy in genetics. 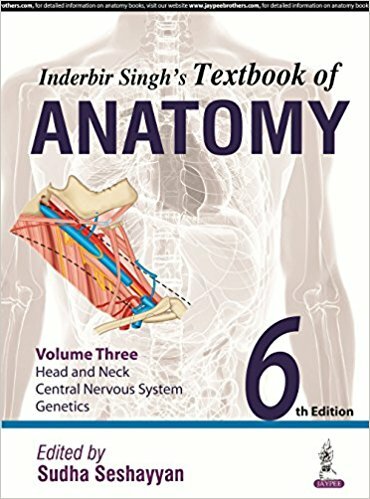 This new edition of Inderbir Singh’s Textbook of Anatomy is enhanced by over 900 full colour images and illustrations across its three volumes. Other improvements include frequently asked questions at the beginning of every chapter, and dissections new to this edition highlighted in red throughout the books. Brand new clinical correlations with full explanations have been highlighted in orange and other colour coded information boxes are included throughout. Each chapter ends with MCQs and questions based on clinical cases to improve clinical problem solving. 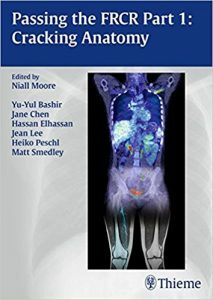 This extensive yet practical textbook is invaluable for medical undergraduates and general physicians wishing to update their knowledge of anatomy. 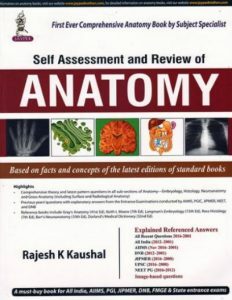 Key Points Third volume of three volume guide to human anatomyPrevious edition published August 2011 (9789350253830)Over 900 full colour images and illustrations throughoutHighlighted boxes for new dissections and clinical correlationsFAQs and MCQS at start and end of every chapter. The seventh edition of this classic work makes mastering large amounts of information on the nervous system and sensory organs much easier. 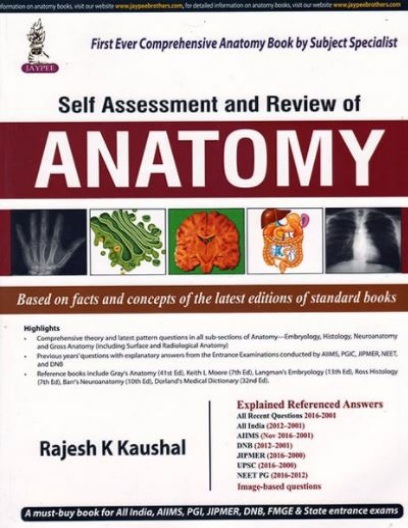 It provides readers with an excellent review of the human body and its structure, and it is an ideal study companion as well as a thorough basic reference text. The many user-friendly features of this atlas include: New and enhanced clinical tips Hundreds of outstanding full-color illustrations with updated labels Side-by-side images with explanatory text Helpful color-coding and consistent formatting throughout Emphasizing clinical anatomy, this atlas integrates current information from a wide range of medical disciplines into discussions of the nervous system and sensory organs, including: In-depth coverage of key topics such as molecular signaling, the interplay between ion channels and transmitters, imaging techniques (e.g., PET, CT, and NMR), and much more A section on topical neurologic evaluation Volume 3: Nervous System and Sensory Organs and its companions Volume 1: Locomotor System and Volume 2: Internal Organs comprise a must-have resource for students of medicine, dentistry, and all allied health fields. The Complete Human Body, 2nd Edition is the definitive illustrated guide to the human body as we know it today, from its development and form to its functions and disorders. Mysteries remain, but we have come a long way since the sketches and diagrams of the first anatomists in Ancient Greece. 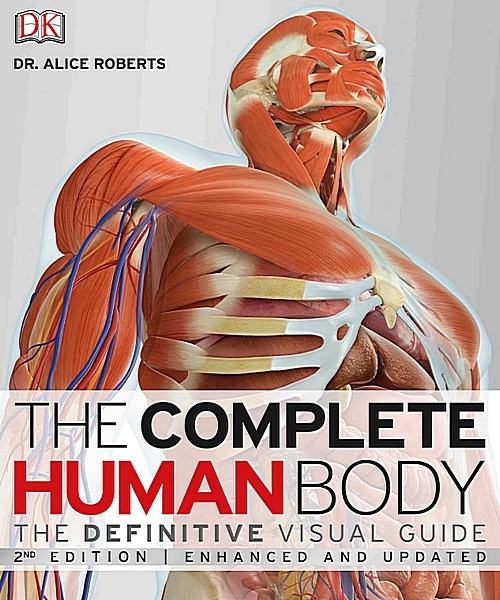 Now updated and expanded to include more information than before, The Complete Human Body, 2nd Edition explores the body’s forms and functions in greater depth than any other popular reference, from muscle structure and activity to motor pathways within the brain. Illustrated with unprecedented clarity by computer-generated artworks and the latest medical and microscopic imaging, this comprehensive reference shows anatomical structures and bodily processes in incredible detail. 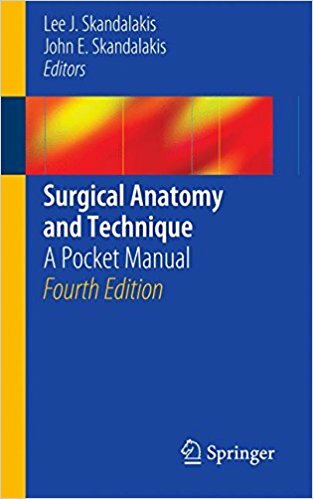 Generations of residents and general surgeons have relied upon and worn out their copies of Surgical Anatomy and Technique: A Pocket Manual. Thoroughly revised and with dozens of new illustrations, the fourth edition continues the tradition of providing a concise, accessible, and generously illustrated memory refresher for both novice and experienced clinicians. The editors have included techniques to keep the content fresh, relevant, and practice-based. Among the new topics are hand surgery, a section on central venous access, and creating an AV fistula for dialysis. All the existing chapters have been updated and expanded to reflect current surgical approaches and instrumentation. This fourth edition of Surgical Anatomy and Technique: A Pocket Manual provides the gold standard in correlating clear, practical anatomy with the correct technique in the pursuit of the best possible patient outcomes. This handy pocket manual remains a “must have” for every resident and general surgeon.